June 12, 2018 / LBD "Nytetrayn"
It's E3 time! 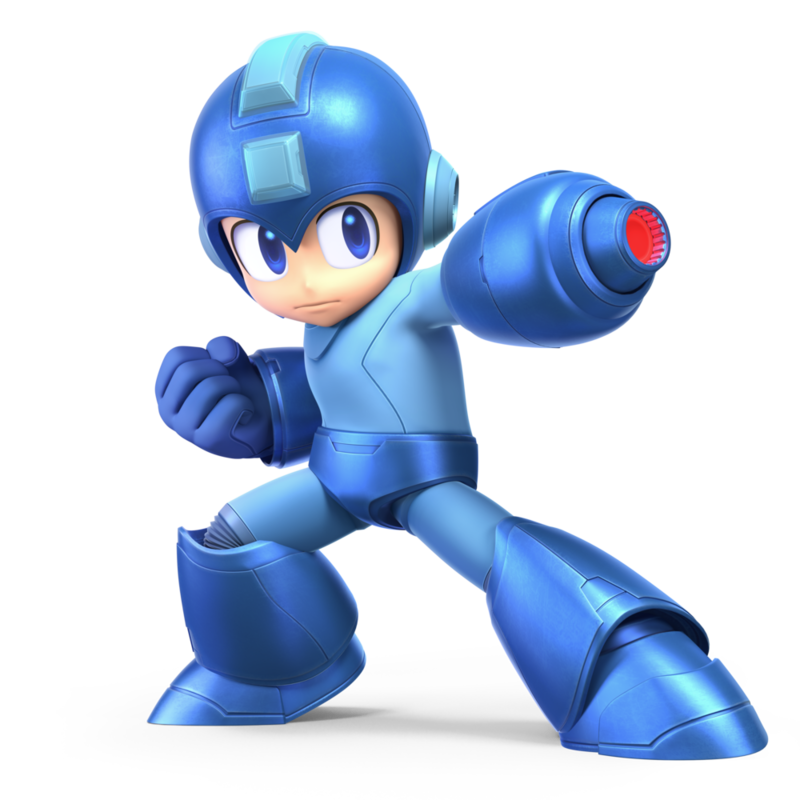 The 2018 Electronic Entertainment Expo is underway, and while we're in the fourth day of announcements and events, today is the day Mega Man has come out to play. Riding the Rush Jet, fighting a rogue Robot Masters alongside the Blue Bomber... it's like a Mega Man fan's dream come true! A history lesson spanning time and space! There's trivia on the monitors, too! You can see more of those here. The Q&A didn't reveal too much, but watching the playthrough of Block Man's stage still revealed some neat details as both Normal and Newcomer modes were demonstrated. Check out the idle animations for Mega Man, the way the boss gates change colors to indicate you can't go back, and the "demo" sequence when you gain a new special weapon! That's all so far from Capcom -- but that's not all! Nintendo had their E3 2018 Nintendo Direct this morning, and the main focus was on the latest entry in their all-star party fight club, Super Smash Bros. Ultimate. And this time, everyone who has been in a Super Smash Bros. game before is included -- and then some! So if you ever wanted to pit Mega Man against Solid Snake, Young Link, or Wolf O'Donnell, your time has come! That's all for now, but as the Super Smash Bros. Invitational goes on, we may yet learn more -- for instance, Knuckles the Echidna was revealed during a match as a new Assist Trophy -- could we see Zero or someone else from Megaland show up?